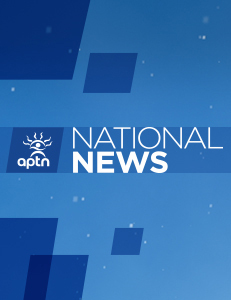 A ceremony Wednesday marked the sacrifice of hundreds of Indigenous veterans from Manitoba – as well as thousands across Canada. It was National Aboriginal Veterans Day. “A lot of our Metis people and our First Nations people, when they came back from the wars, they got nothing,” said Sgt. Devin Beaudry of the Royal Canadian Air Force. Beaudry was one of more than a hundred people who gathered in Winnipeg to pay their respects. Various ceremonies took place across the nation. Here’s a look at the ceremonies held in Vancouver. In Vancouver, Hastings Street was closed so veterans and other dignitaries could march to the cenotaph. Traditional drummers greeted them as wreaths were laid to honour the war dead. “Our true respect for those who sacrificed before us,” said Mayor Gregor Robertson. Grand Chief Stewart Phillip, of the Union of B.C. Indian Chiefs, was there, too. Viviane Sandy brought her granddaughter to honour her late, great-uncle George Gilbert, who fought in the Second World War. She says he suffered post-traumatic stress and had a hard time adjusting after he came home. It has been documented that Aboriginal veterans were treated poorly upon their return to Canada. With the government stripping them of their Indian status and often barring them from entering their reserves to visit family and friends. Sandy says that happened to her great-uncle. 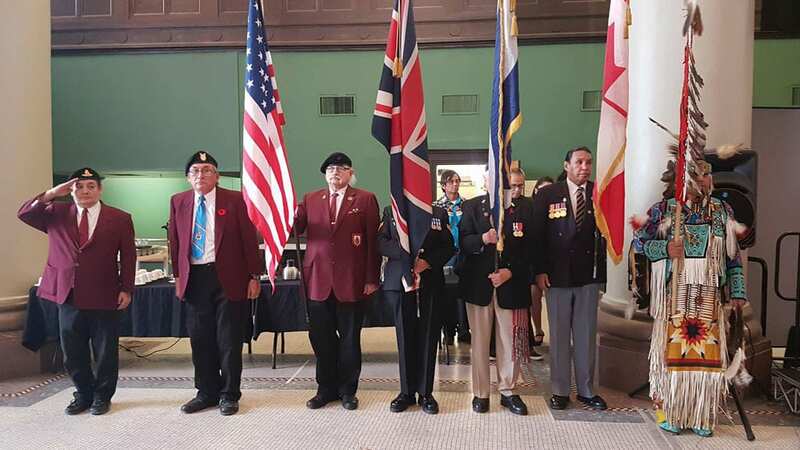 Winnipeg is the site of the first Aboriginal Veterans Day – some 23 years ago. Here’s a look at the ceremonies held in Winnipeg. More than 12,000 Aboriginal men and women served the country through the First, Second and Korean wars. Bill Greenwalt said the day is also for educating the youth of tomorrow. “It’s all part of that history that we have to make sure that we transfer down to our young people,” said the former member of the United States Marine Corps. Greenwalt, who served four years before moving to Canada, said he’s noticed a severe lack of mental health services for veterans – himself included. “Right now, whether it’s either Canada or the United States, there are 22 veterans a day committing suicide because of post-traumatic stress disorder,” Greenwalt said.